Colourful ribbons twist and wrap around this Kid's Republic retail store in Beijing. 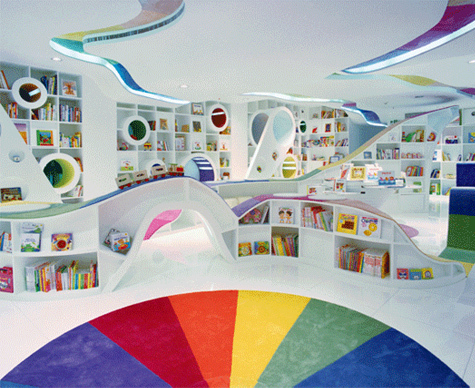 Two floors house an activity space and a bookstore with playfully designed nooks for children to explore. Designed by SAKO architects. Amazing! Beautiful!...Remember me some Zaha Adid projects..Ilike this!